I don’t think about them, I just do them. Around this time of the year the motivation can seem to wax and wane. It makes sense. It’s winter. It’s getting dark earlier. The bed feels so comfy and good. Holiday parties. Holiday vacations. Goal races seem far away in the distant future. Also, some of you have just come off 6-10 months of mental, physical, and emotional dedication to training, while others are in a build phase of strength and conditioning, and yet some others are in the midst of their season. So knowing that we are always undergoing change in life and sport, and there are always “good” reasons to not do something, how do we keep on keepin’ on day after day? How do we keep our motivation fueled? 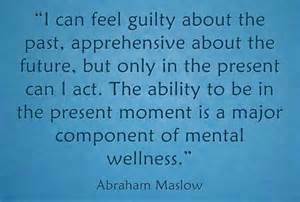 To be realistic, we can only hold “it” together for so long before our bodies and minds tell us we need a break. It’s not typical that someone is always motivated but it is possible to train yourself to be a more motivated person. Ask yourself “Is it time to take a few weeks or a couple months off because my body and mind are tired and really need it?” or “Is my body feels healthy but my mind fights with me each and every day to get going?” The first question will help you decide if you need to give yourself permission to have a much needed and deserved break. The second question (which will be the focus of this post) indicates that you need to reframe and revisit how you keep yourself dedicated and motivated day-in and day-out. When athletes tell me they need to work on motivation. I clarify with them that my job is not to motivate them. My job is to help athletes tap into their own motivation and help them develop the mental tools to tap into that inner well when the going gets tough during training, competition, and life. When it comes down to it, in your heart of hearts only you know whether you short-changed yourself or not. One of my favorite John Wooden quotes illustrates it perfectly, “I also know that only one person on earth knows if you made your best effort: not your coach, not your employer, not you husband or wife, boyfriend or girlfriend, brother or sister. The only person who knows is YOU. You can fool everyone else. Now that we know what we are talking about, do you know that there are two types of motivation that serve as our “reasons” or “force/influence” for why we do what we do – extrinsic and intrinsic motivation. Intrinsic motivation: Intrinsic motivation is based on an internal sense of taking pleasure in an activity and/or process. An intrinsically motivated athlete takes fulfillment from the process of learning, growing, and skill development solely for the satisfaction of learning and having fun. The intrinsically motivated athlete is determined to strive inwardly in order to be competent and masterful, and the intention is within the individual rather than relying on any external pressure or validation. Real-life examples include the beginner swimmer that goes to practice every day and incorporates their coaches’ feedback because they are determined to master the breaststroke; the athlete that runs because it relieves stress and makes them feel alive and they have a desire to improve their personal time; or when you learn a new sport and seek to play it often because it excites you to think differently and work internally to develop your skills. Keeping these two types of motivation in mind it’s important that you be honest with yourself with what really motivates you (no judgment okay). Once you know what motivates you, you know your carrot on the stick. 1: Motivated Athletes Know Their Goal. Motivated athletes know their goal so well that they can close their eyes and create a mental picture of it in your mind. The more vivid and clear your goal the more your brain and body know where to aim. Motivation increases when we know where we are aiming our efforts. This means creating a picture in your mind, putting visual cues in your environment to remind you of your goal, or writing it out specifically and clearly in your training log/journal. When I was training for Ironman Texas this past year I wrote out my ideal race performance in my journal and reviewed it weekly. I created a vision board that was triathlon focused and posted it on the wall next to my bike trainer. I trained my brain to remember that for the next 6 months this was what we were working towards. 2: Motivated Athletes “Know Thy Self”. Motivated athletes know that they have individual character traits that are shaped by their life experiences that serve as their wildcard to pull out when the going gets tough. Every athlete has character strengths that serve as inner and outer guides that we are able to use to self-correct and lead us. DO NOT underestimate yourself. DO NOT underestimate that you have survived a whole hell of a lot in life and executing this workout has nothing on the big scheme of things. KNOW and OWN that you are determined, willing, strong, persistent, ambitious, patient, compassionate, kickazz athlete. 3: Motivated Athletes Know That They are Apart of Something Bigger. A Stanford University study on motivation indicated that “when people are treated as partners working together with others – even when physically apart – their motivation increases” The principle investigator psychologist Gregory Walton reported that “The results showed that simply feeling like you’re part of a team of people working on a task makes people more motivated as they take on challenges.” So it makes sense that when athletes join challenge groups, teams, clubs, such as TriMarni Coaching and Nutrition Team and Chico Tri Club (both of which my husband and I are apart of) they feel more motivated. Athletes who race to support a charity are another example. Motivated athletes know that their performance is not only for them, but serves to inspire others, support others, and help others realize greatness in themselves. 4: Motivated Athletes Focus on What is in Front of Them. Motivated athletes know not to stress about things out of their control such as tomorrow’s workout or yesterday’s performance. Since they know that there is a bigger picture in mind (see Tip #1) they don’t allow minor worries about the past or future get in the way of what they have to focus on today and right now! 5: Motivated Athletes Have the Capacity to Have Fun and Enjoy the Process. Motivated athletes allow themselves to let go and have fun when ever possible. They take their “jobs” seriously but not themselves. Motivated athletes know that everything is temporary so they allow themselves to be present and enjoy what is happening in the present moment. 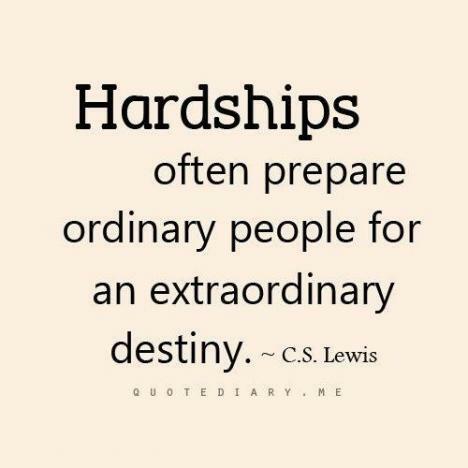 Motivated athletes know that even painful situations will pass and that the moment is temporary. To be honest, even though I am a sport psychologist I struggle with staying motivated. 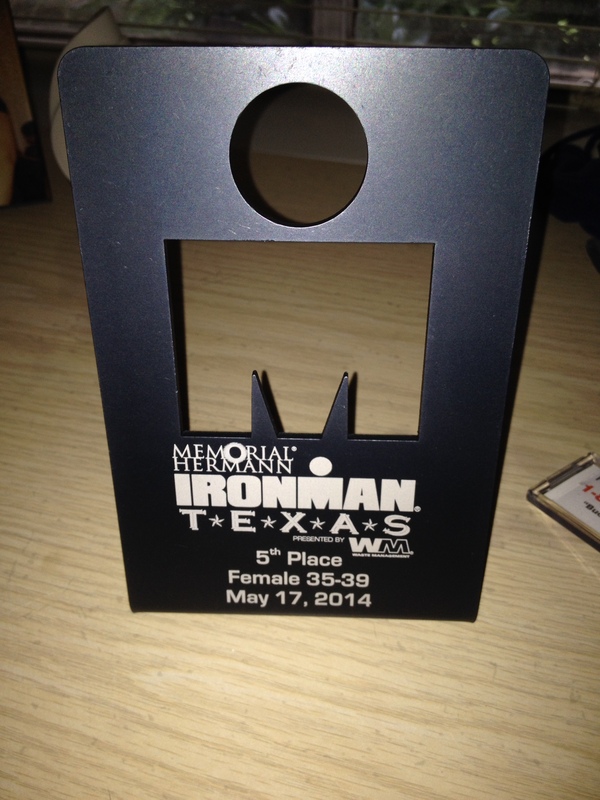 However, when the going gets tough in life and sport, I always go back to training and racing for 2014 Ironman Texas. My training and racing was proof to myself that I can stay consistent, adjust to change (new gadgets, new structure, and having coaching), and stay committed to the big picture. If you ask Marni and Karel they would tell you, without a doubt, that I faced a big learning curve last year training for Ironman Texas. It was not easy, but I knew in my hear of hearts, that if I did my job they would do theirs. The intrinsic motivation told me that if I could stay consistent day after day then race day would take care of itself and my only job would be to execute the plan and guess what? It worked! 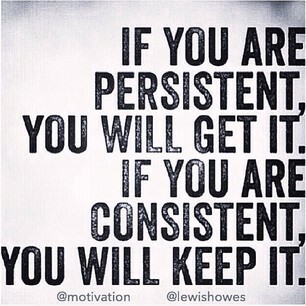 Motivation, does not only get you going for the day but it is essential to staying consistent. Consistency builds confidence, and confidence helps you face what ever may come knowing you WILL OVERCOME. This picture below is a manifestation of repeated daily efforts, team support, motivation+consistency, and self trust! When you do the work, the work is done.